About - Psyched Up for Extremes! PSYCHOLOGY... but not as you know it. Psyched Up! is a team of professionals that aim to help you achieve high performance, whether that be in Life in general, at Work or in your Adventures. The science of Psychology has a growing body of research outlining practical and achievable strategies that enable all of us to be more successful, happy and well balanced. Our team at Psyched Up! use this latest science to help you achieve your goals and ambitions and to build a future that is more positive. Over the past 20 years Mark has experienced a broad variety of projects and adventures, with roles taking him from Antarctica to the war-zones of the Middle East. He has served as a Military Psychologist in the Australian Army for over 16 years including almost a decade in support of Special Forces and numerous deployments around the world. Mark has also worked in the corporate sector where he has designed, managed and successfully achieved outcomes on diverse and complex projects including green-field LNG sites in Papua New Guinea, mining companies across Australia and in Laos and Timor Leste, utility companies, schools, NGO's and with individuals and organisations working in the sustainability sector . 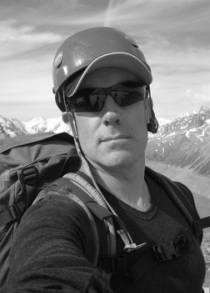 Throughout these experiences, Mark has developed and refined the application of performance focussed psychological science to real-world environments. He is passionate about implementing this learning with individuals, organisations and the broader community to effect positive change. Eliza is an Anaesthetic Registrar Trainee at the Austin Hospital.